Don’t just toss around any old unbranded football. Check this NFL Football Open Wire Bulk Bin for one branded by the team of your choice. In addition, just because a Pennsylvania display. see Penn State Nittany Lions licensed selection to target the known market. 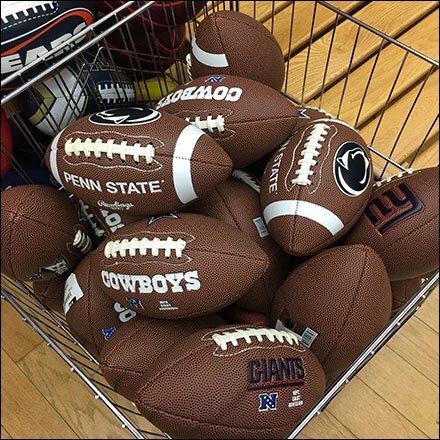 This NFL Football Open Wire Bulk Bin seen at Schuylkill Valley Sports.